Our Lip Set in Box red sees two of our newest additions, Lip Lure in Virtue and Slick Stick in Adorn join forces to give you a two-step set to a perfectly defined pout in 5 colour-intense shades. Line lips with our creamy, long-wearing slick sticks and then fill in with our dewy Lip Lures. 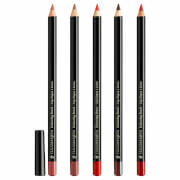 Slick sticks are a colour intense, retractable lip crayon that create long-lasting definition. The creamy, water-resistant liner glides over lips effortlessly and once set it does not shift. 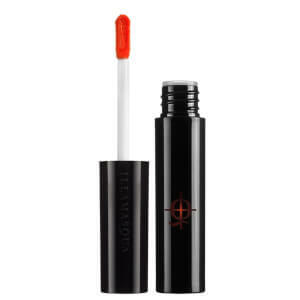 Lip Lures are a long lasting, colour intense liquid lipstick with a beautiful, semi-gloss finish. Pairing your lip colour with a matching liner will keep the lip line clean and create lift and definition. 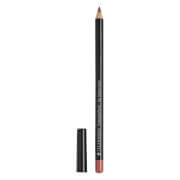 For a smooth application and a flawless finish, apply the Slick Stick using light, short strokes following your natural lip shape and then fill in with the Lip Lure, making sure to go right to the edges to blend with the liner. Trimethylsiloxyphenyl Dimethicone, Polybutene, Diisostearyl Malate, Dimethicone, Bis-Diglyceryl Polyacyladipate-2, Silica Dimethyl Silylate, Isododecane, Trimethylsiloxysilicate, Methoxy Peg- 17/Methoxy Peg-11/Hdi Isocyanurate Trimer Crosspolymer, Polysilicone-11, Parfum (Fragrance), Ethylhexyl Palmitate, Butylene Glycol, Caprylyl Glycol, Phenoxyethanol, Sodium Hyaluronate, Hexylene Glycol [May Contain: Ci 77891 (Titanium Dioxide), Ci 77492 (Iron Oxides), Ci 77491 (Iron Oxides), Ci 77499 (Iron Oxides), Ci 19140 (Yellow 5 Lake), Ci 15850 (Red 7 Lake, Red 7, Red 6), Ci 45410 (Red 28 Lake, Red 27, Red 27 Lake), Ci 15985 (Yellow 6 Lake), Ci 42090 (Blue 1 Lake)]. Ingredients: Cyclopentasiloxane, Mica,Trimethylsiloxysilicate, Dimethicone, Polyethylene, Candelilla Cera (Euphorbia Cerifera (Candelilla) Wax, Cirede Candelilla), Phenyl Trimethicone, Ozokerite, Cera Alba (Beeswax, Cire D&Rsquo;Abeille), Silica, Butylparaben, Bht, [+/-May Contain/Peut Contenir: Iron Oxides (Ci 77499, Ci77491, Ci 77492), Ferric Ammonium Ferrocyanide (Ci 77510), Titanium Dioxide (Ci 77891), Red 7 Lake (Ci 15850)].